City Hall has disclosed its anti-congestion strategy, aimed at resolving the ever-worsening traffic issue in the Russian capital. ­First and foremost, the strategy includes establishing an intelligent transport control center based on the GLONASS navigation system. The center will regulate the traffic flow, monitor the roads and offer a range of information and navigation services. 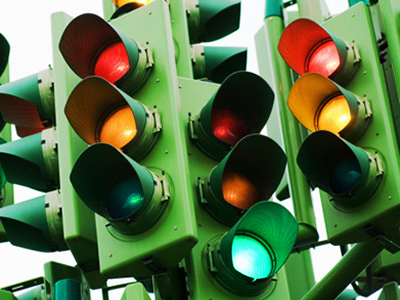 The existing system of road signs and traffic lights will be updated and modernized. All the main roads in the capital are to be equipped with cutting edge alert systems. The strategy includes massive reconstruction of the main transport arteries connecting Moscow with other cities, namely the Minsk highway, Volokolamsk highway, Shchelkovo highway, Yaroslavl highway, Leningrad highway and Entuziastov highway. It is also planned to extend the Moscow Ring Road and to fully rebuild the Small Ring Road in the Moscow Region. The authorities will also close illegal parking lots, takeoffs and junctions, hampering the traffic passing though the main highways. The traffic system in the center of Moscow will be fully restructured, with more reverse and one-way lanes. A range of Moscow roads will be turned into toll ones, the money being used for further modernization of the transport system. All construction projects in the capital will have to be approved by the Transportation Department. Building of new housing areas and supermarkets without preliminary calculations on the traffic system will be forbidden. 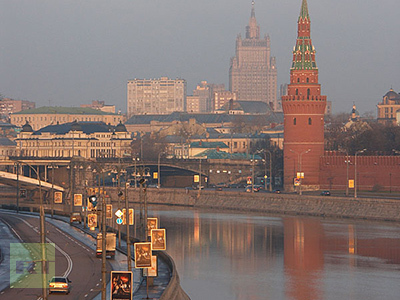 No more markets, warehouses or trade centers will be allowed near the main highways in Moscow and the Moscow region. All the illegal buildings will be demolished. Cargo transport in the Russian capital will be limited to night (10 p.m. – 7 a.m.) during the week and prohibited on weekends and holidays. All the customs terminals and warehouses gathering such transport will be relocated. The city authorities plan to develop means of public transport that offer higher capacities and more comfort. It means that trolleybuses and minibus taxis may soon fade into past. New bus stations for long-distance and international routes will be built outside Moscow. ­It is planned to set up a special parking police department that will prevent violation of traffic rules and strictly punish the offenders. The number of tow trucks will go up – they will get rid not only of small vehicles parked in the wrong places, but also of tractor trailers. At the same time, more new toll parking lots will be built. The authorities are expected to come up with a bill on simplifying the handling of petty traffic accidents. Moscow Mayor Sergey Sobyanin promised to search for more funds: instead of 40 billion rubles, he plans to invest in the reconstruction project the entire 101 billion rubles.